Bill Miller: Great Cruise Ships and Ocean Liners from 1954 to 1986 . Another one of Bill's good dover books .. and certainly abound with quality and rare photographs ... some from the files once kept safe in in Frank Braynard's basement! 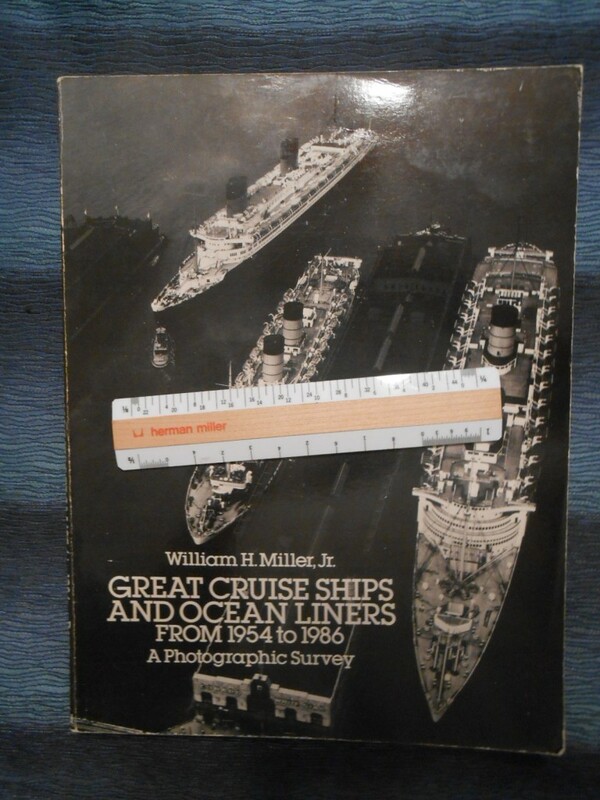 Bill's Dover books are great reference points for many ships. Good condition!